1, 2 & 5 psi Low Pressure Ranges! 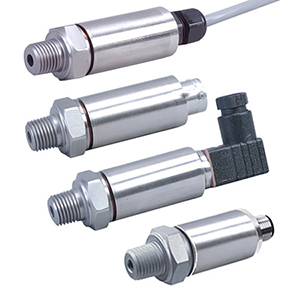 OMEGA’s PX309 Series Stainless Steal Pressure transducers below 100 psi use a high accuracy silicon sensor protected by an oil-filled stainless steel diaphragm. Units 100 psi and above use silicon strain gages molecularly bonded to the stainless steel diaphragm. Note: Comes complete with 5-point NIST-traceable calibration. Notes: 1. Units 100 psig and above may be subjected to vacuum on the pressure port without damage. 2. For alternative performance specifications to suit your application, contact Engineering.